Eh, they're okay. Bear in mind you just asked me if a specific earpiece was worth the money, not the radio. Esential! First aid kit. Anything could happen on the field, some idiot could violate the MED with a 550 FPS sniper rifle and hurt you, you could fall and break bones, you could get stung by a wasp/bee you are allergic too, you could get stung by a hornet which is a pain of it's own(this is not a pun on my team name, I'm being serious) the sky is really the limit. 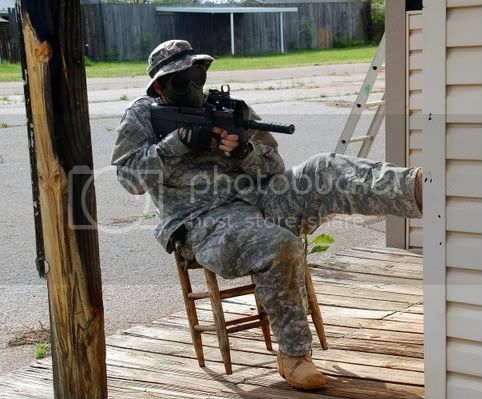 Safety is PARAMOUNT for airsoft. I carry everything from headache medecine to military grade bandages. You've got to be prepared! Funny you should mention that, I was stung by a wasp at Op Blackwater for the first time in my life. It hurt like hell, so always make sure you bring a smoker to an airsoft game so you will have tobacco on hand. I'm really surprised that I was the first to mention it. This is as important as your gun in my opinion. I am surprised it wasn't already here as well. This is a good example of a necro in which you contributed, good post. always make sure you bring a smoker to an airsoft game so you will have tobacco on hand. Baking soda works well too. One time my dad and I were lifting a dead pine tree into a dumpster, there was a large fire ant nest in it that we didn't know about and I got bites all over my arms. We spread baking soda all over them and the stinging dulled down a good bit.